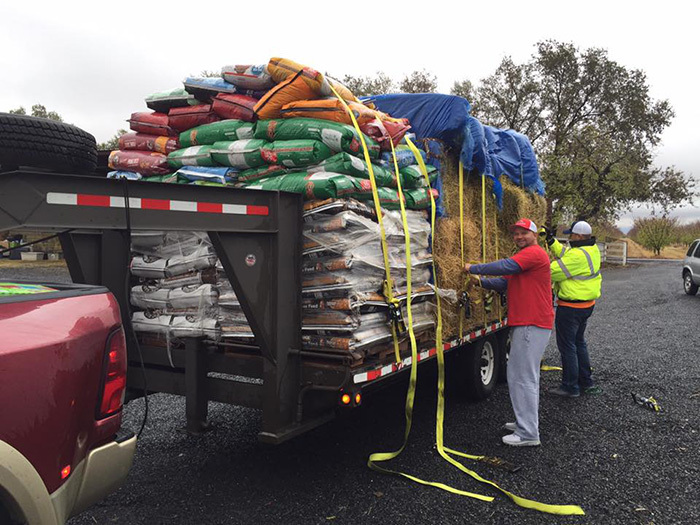 Two brothers from Chicago drove to Northern California to bring a truckload of feed to help the animals that were affected by the devastating Camp Fire. 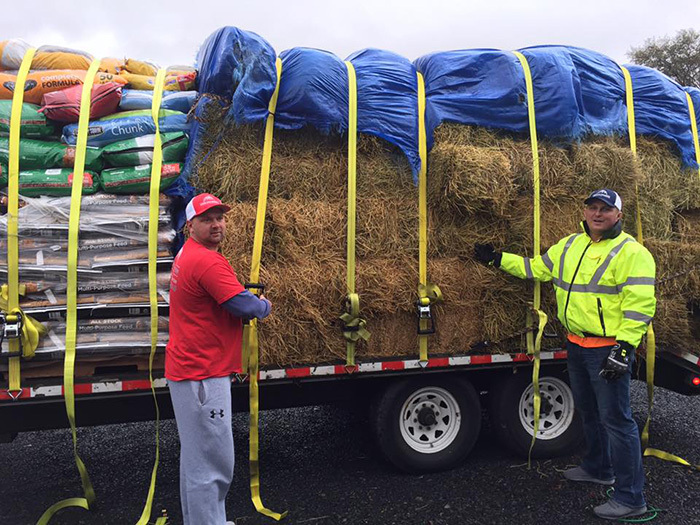 Danny and Arek Zachara made the 4,500 mile round trip from Chicago to Wheeler Ranch and Feed in Biggs, California to drop off hay, livestock feed, and dog and cat food. "A whopper of a story!," Wheeler Ranch and Feed wrote on Facebook. "I have been in contact with these two brothers for over a week. Danny and Arek Zachara wanted to make sure we would be there to receive their trailer and pickup load of hay, livestock feed, dog and cat food and supply. I promised we would be there for them when they arrived. The crazy part of this story is they were making a 4,500 mile round trip from Chicago, Illinois! Danny and Arek are brothers from Poland and migrated to America. They own MDD Exterior Inc. Contracting/Roofing company in Chicago. After hearing about the devastation of the campfire they both immediately gathered Feed and supplies and headed west to Biggs, CA. It took them many days as they encountered rain, sleet, snow and wind. That didn’t stop them. A couple times they were snowed in and spent the night in their truck at various truck stops to guard their precious treasures for the animals and victims of the Camp Fire." "They finally made it to Wheeler Ranch & Feed where we greeted them with our finest Butte County hospitality! We later find out the boys lived on a farm in Poland and they knew they must honor their roots of their family heritage. We wish Danny and Arek safe travels back to Chicago Illinois and in your native tongue, 'Dziekuje' which means thank you very much in Polish!"